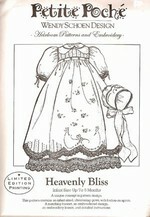 The Christening Gown is one of the most treasured garments you can sew for that special baby. 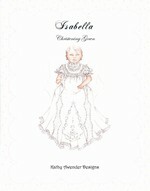 Though you are only limited by your imagination, Delicate Stitches by Sylvia carries several Christening Gown patterns by various designers. 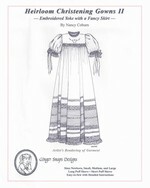 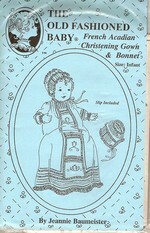 There are also several Christening Gown designs in issues of Australian Smocking & Embroidery or in the Country Bumpkin publication Embroidered Christening Gowns. 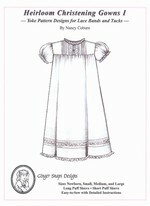 Delicate Stitches by Sylvia carries many varieties of Swiss cotton fabrics for stitching up your gown. 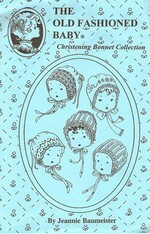 Swiss cotton Nelona, Swiss Dotted Swiss, Swiss Superfine batiste are just a few of the choices you have. 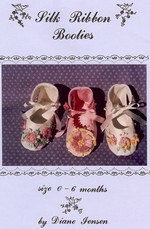 Along with the Swiss cotton fabrics you will fine a large variety of French or English heirloom laces. 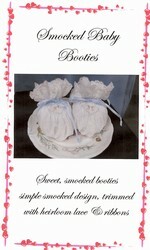 We carry both lace insertions, lace edgings, Swiss embroideries, entrudeux and silk satin ribbons. 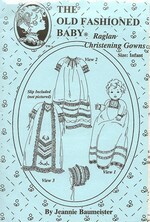 Christening Beauty Pins are also available to use on the back of the finished gown as another heirloom for the special event. 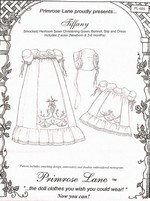 You may even like to complete the gown by adding baby booties, a special receiving blanket or bonnet. 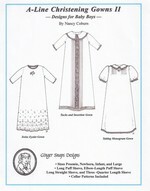 Whether your dream is something simple or elaborate, you will find the needed heirloom sewing supplies at Delicate Stitches by Sylvia to make a gown to pass down through the ages. 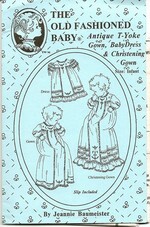 A precious beauty pin is the perfect addition to the Christening Gown. 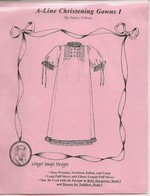 If heirloom sewing is your love, you will find many lovely items on our site!